Mostly cloudy, with a low around 46. South wind around 5 mph becoming calm. A 40 percent chance of rain after 1pm. Partly sunny, with a high near 70. Calm wind becoming northwest around 5 mph in the afternoon. Showers likely, mainly before 10pm. Mostly cloudy, then gradually becoming mostly clear, with a low around 45. North wind 10 to 15 mph, with gusts as high as 20 mph. Chance of precipitation is 60%. New precipitation amounts of less than a tenth of an inch possible. Go Wildcats! Here We Come! 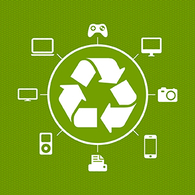 Spring Valley JFK will be hosting their annual Electronics Recycling Event on Saturday, May 18th from 9:00AM to Noon. Event will take place in the north parking lot located at 999 N. Strong Avenue, Spring Valley.